From painted Easter eggs to chocolate treats, the whole family will get into crafting this Easter! 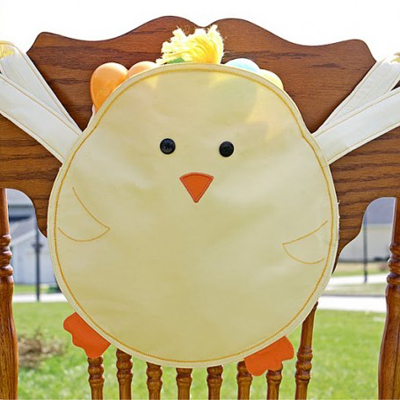 Cute over-the-chair Easter bags. Aren't these just pretty? Wonderful watercolor painted eggs. 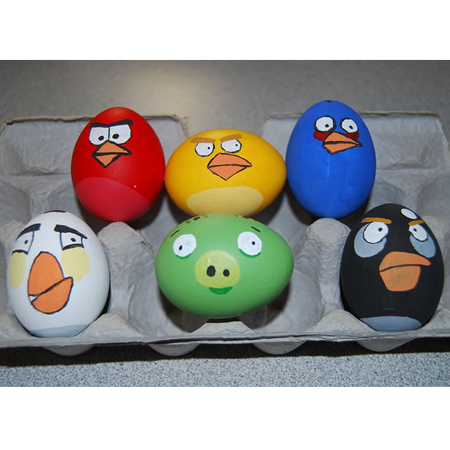 These water-colour based painted eggs are great for your Easter hunt! Egg-cellent Easter cakes. Great for your kids, especially if they have a sweet tooth! Angry Birds Easter fun! Do your kids love Angry Birds? Then try these AMAZING Easter eggs! Hidden Easter eggs. 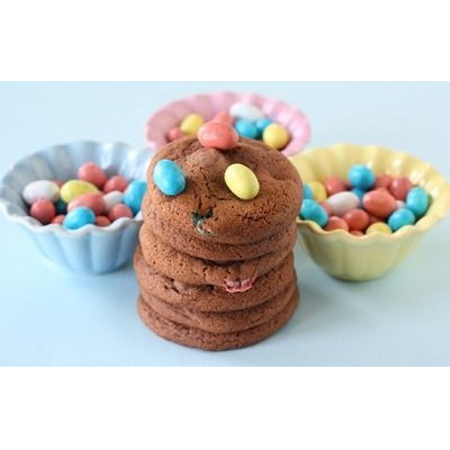 Try these easy-to-bake Easter cookies. Yum! Crayola cool Easter eggs. Are your tots itching to do something more fun? Then give them boiled eggs and crayons! They'll love it! Egg Planter. 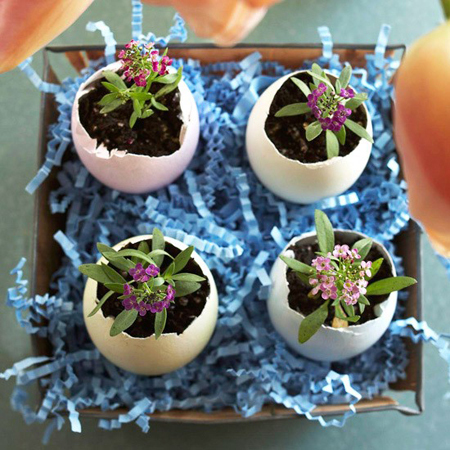 For a unique twist on the traditional Easter egg, give eggshells a second life as planters. Fill the planters with different types of plants. Rabbit gift box. 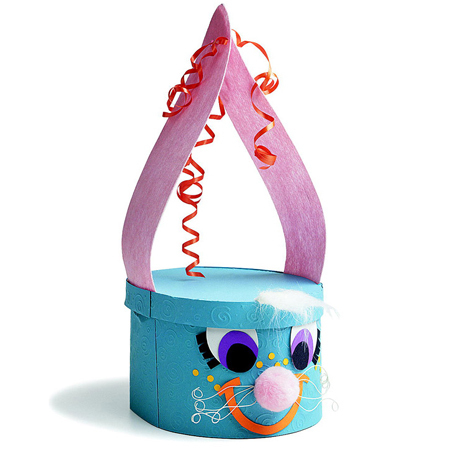 This sweet rabbit gift box is a fun and easy craft for kids to create. 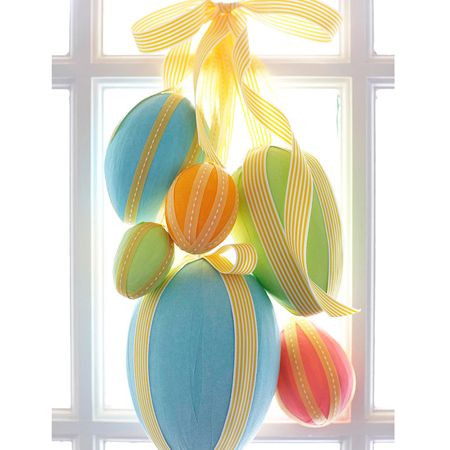 Hanging egg decoration. 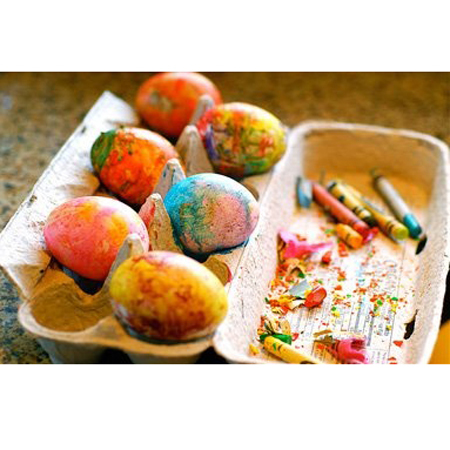 A tumble of pastel eggs is an Easter craft for kids that make a cheery welcome at the front door. 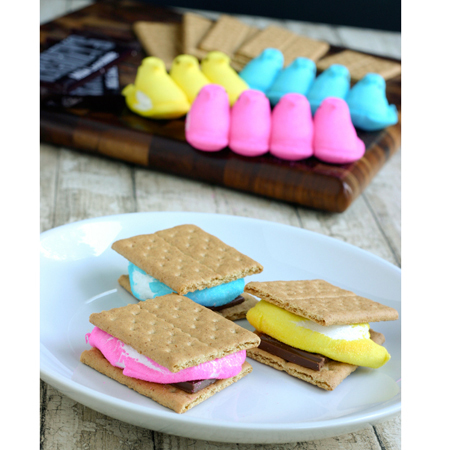 Easter s'mores. Now these are something all kids (big and small) will look forward to!